Never miss that action shot again. A Panasonic lens will open up the range of photographs you can capture and will allow you to compose the perfect shot every time. Our Panasonic lens range is diverse with a plenty of options for capturing everything from sports, wildlife, landscapes, to architecture. 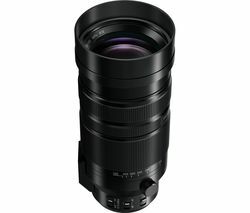 This means, you can create flawless images with stunning clarity, whether you’re snapping from a long distance with a Panasonic H-PS45175E Lumix GX VARIO PZ 45-175 mm f/4.0-5.6 IF ASPH Telephoto Zoom Lens, or shooting a close-up portrait with a Panasonic Lumix G 25 mm f/1.7 Standard Prime Lens. Panasonic lenses are designed by industry experts who understand the desire to harness colour and light in search of the ideal shot. 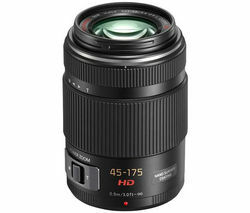 But this doesn’t mean you have to be a pro photographer to reap the benefits of these powerful lenses. These easy to use lenses come with features like image stabilisation, and auto and manual focus to make sure your photos are picture perfect every time, whether you’re snapping a breathtaking landscape at dawn, or shooting party action shots at night. In addition to our Panasonic lenses, you can boost your range of artistic shots with our Sony lenses, or take a look at our Olympus lenses to complete your kit.